Heidi Widmer is a name that has been lit up on the world’s most-coveted ski leaderboards. Those that have followed her successful rise to global cross-country ski fame, will know that this is a woman that has tirelessly honed her skill, battled any obstacle that has been in her way, and has never rested in the pursuit of making her best time – and proving what she’s got. As the whole world has its eyes firmly set on the 2018 Winter Olympic Games in PyeongChang, we shine the spotlight on our very own podium heroine; celebrating Heidi’s ten years of athletic performance, sheer determination, and exemplary show of character and strength. As the longest-standing athlete of the Pauw Foundation’s Youth Sport Fund, Heidi has maintained a strong tie to her home town, and the deep personal relationships she has within it. Here, as Heidi’s trajectory changes – with her fully coming to terms with what will be her last season skiing as a professional athlete – we speak to Heidi about her long list of accomplishments, her forever fondness for home, and her plans for what’s next. Making her Olympic debut at the Sochi 2014 Olympic Games, Heidi’s talent and tenacity have seen her develop her professional career in Nordic skiing all the way to the top. Specializing in the skate sprint, Heidi has climbed the ladder from homegrown Bow Valley hopeful to the national team; a true Alberta success story. Synonymous with the World Cup elite circuit of Canmore, Heidi has a strong list of competition placements to her name, including four times at the FIS World Junior Championships (2008-11), two appearances at the FIS Under-23 World Championships (2012-13), and then claiming her first senior national title in 2013 – taking gold in the 5km freestyle. Her ability to compete on the world stage may have, in part, been down to her having some sports-star quality in her DNA; her brother Phil well and truly set the trail for Heidi’s international recognition [Phil had represented Canada in the earlier Games of 2006, held in Turin.] Inspired by her elder sibling’s success, Heidi was spurred on to realizing her own dreams of collecting medals and representing her beloved home country of Canada. A life-long “Banffitte”, Heidi began downhill skiing with her family at age six. It wasn’t until a little later, at nine years old, when Heidi first found her flair for the Nordic style. Her interest in the sport would later be explained within the media as being because she didn’t want to wait in the line-up for the chair lift at the local ski resorts in Banff. From there, there was no waiting around (or patiently lining up) for the young Heidi Widmer – she was hurtling towards a career in competitive skiing. It was during these early years that Heidi started to realize her potential and become known as a rising star in her community – yet Heidi, until this day, has never lost sight of her Rocky Mountain roots and connection to the place she will always call home. “I’m a lucky girl to say that I grew up in Banff, that’s for sure,” Heidi says. 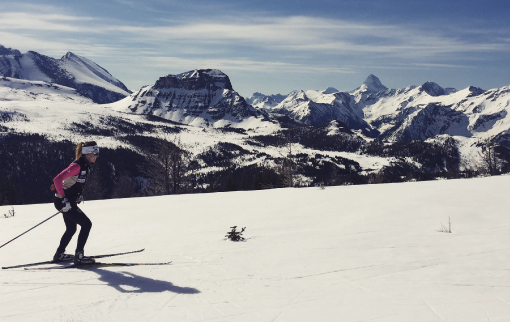 When Heidi was fifteen years old, she was first introduced to the Banff Lodging Co. athlete sponsorship program. Through her also ski-fanatical brother Phil, Heidi was to find herself sat in front of family-friend Gord Lozeman, the President of Banff Lodging Co. [today, the sole funding source of the Wim & Nancy Pauw Foundation], talking about her love of skiing, and her big plans for the future. Gord had noticed the talents of both Widmer siblings in alpine ski racing, and it was then that he decided that supporting local athletes on their path to the podium was a very worthwhile thing to do – the idea of a Banff-based company funding the sport stars of the future was established; this was the origin of what is now known as the Pauw Foundation Youth Sport Fund. “At the time I met Gord, I would have been racing at a Provincial and National level,” Heidi explains. 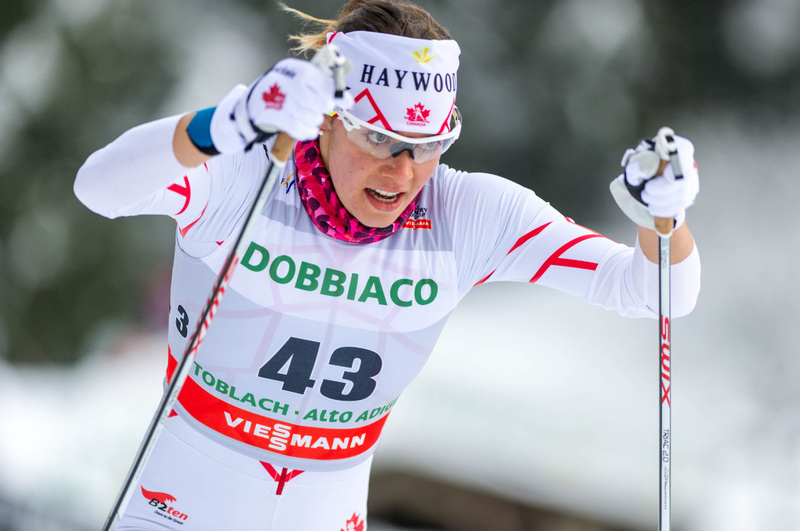 “I had claimed my first National Championships title at age 16, and was aspiring to go ahead and race at the World Juniors [World Junior Championships], representing Canada. There was myself and a couple of other racers at the time, that Gord had connected with and was committed to supporting as we progressed and had our sights set on competing around the world. Yes, I guess you could say that I – alongside Sarah Murphy, Tristan Tafel and Paul Stutz – was one of the first athletes involved with what was then Banff Lodging Co.’s sponsorship program,” Heidi says with a smile. Keeping in touch during visits home and via email, Heidi became an ongoing part of the Youth Sport Fund story. As the program developed and became increasingly invested in contributing to the costs local athletes were facing as they began competing on the national stage, Heidi maintained a relationship with Gord and the Foundation – from that first meeting, up until the present day. During that time, Heidi’s career went from strength to strength, eventually leading her to a place on the Canadian Olympic team at aged 22, and later, to a rigorous training schedule in Davos, Graubünden, Switzerland. It was the spring of 2015 when Heidi was offered a place on the Swiss National Team. After a challenging 2014-15 season, she was notified that she wouldn’t be re-selected as a member of the Canadian National Team. Determined that this wasn’t going to be the end of her competitive career, in true Heidi Widmer style, she brushed herself off and looked for the next opportunity to continue skiing at the highest level – she was going to Switzerland. But, the transition to Switzerland was to become more than a training ground for Heidi, it was to be an introduction to the Swiss part of her identity, and a way of discovering her family’s European heritage [Heidi’s father left Zurich to come to Banff in 1967, where he still remains to this day, having set up Ticino Swiss-Italian Restaurant here and raising his family in the town]. With this, it may have been that Heidi was always destined to experience life in Switzerland. From a connection made to the Swiss National Team [when SwissSki’s Christian Flury lived in Canmore], Heidi kept in touch with Christian and went on to visit Davos [in Graubünden] for one month, to see first-hand a new training environment, culture and team setup. “I fell in love with the country, the team environment, and the challenge of communicating in a new language,” Heidi says. “It didn’t hurt that a part of me has always belonged in Switzerland, and not just because the name Heidi is written on everything from the milk in the store to the dolls in the shop,” Heidi jokes. This ease of her new Swiss surroundings may have been one of the reasons that Heidi went on to have her best season to date [2015-16], with two World Cup top-30 sprint results [Davos 2015 and Planica 2016] and being nominated from the C to B team for the 2016/17 season. Today, Heidi is in a reflective, positive state. 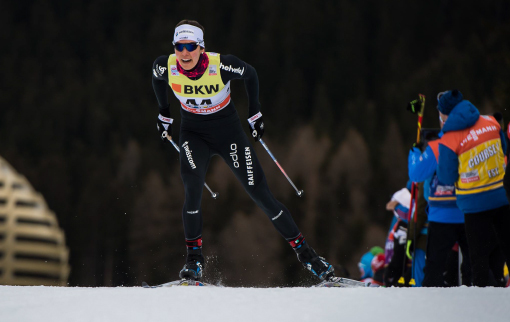 This past January, Heidi had to come to terms with the fact that this will be her last competitive season, after placing 9th in the class sprint prologue and 11th place overall at the Continental Cup race trials in Campra, Ticino. Although officially hanging up her ski racing suit, Heidi remains fiercely adamant that doesn’t mean she will be putting her long, skinny skis away anytime soon. With the same can-do attitude and grateful nature she’s shown at every stage of her career, Heidi is yet again proving to the world that her love of skiing wins out against all else. A true inspiration, we cannot wait to see what she does next. Whatever it is, we know it’ll be worthy of gold.